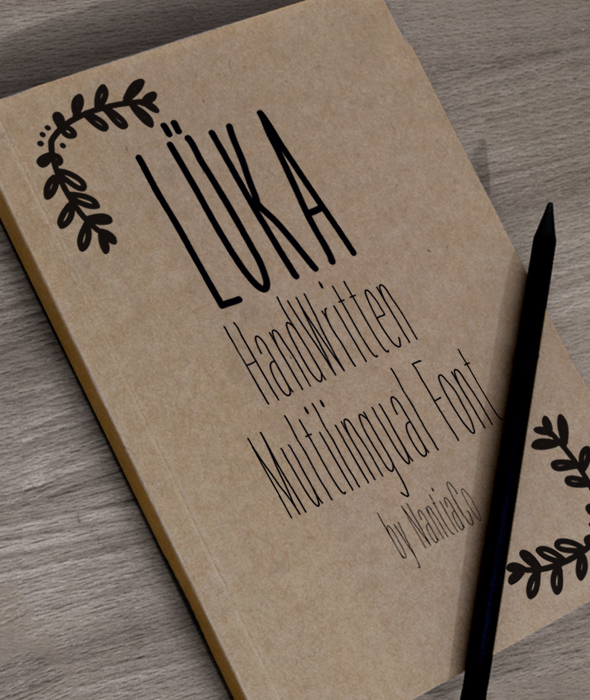 Luka-Pro Font is a handwritten multilingual display font, with greek, Cyrillic and latin characters. A thin, elegant yet crafty looking typeface. You can use it on organic packaging design, for crafts and wedding invitations. Luka-Pro Font is a hand drawn, decorative, san serif font in three weights: thin, normal and heavy. Over 600 glyphs in Latin, Greek, Cyrillic, punctuation marks, diacritics and numbers. Please note that the background and the mockups of the presentation are not included in the pack.